GROUNDBREAKING NEW WAY TO TEACH AND EMPOWER CHILDREN! Is a groundbreaking new way to teach and empower children! Written by Katelyn Mariah, a former psychologist who worked with children for 26 years. She learned how important it is that children are taught empowering skills early, before they become indoctrinated by society with information that might not be helpful. The Empowered Children Book Series is created to give children concepts that will help them navigate the world with more conscious awareness. We will cover subjects such as discovering the inner healer, law of attraction, clean eating, how to work with dreams and many other topics. 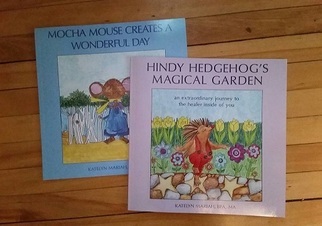 The award winning Hindy Hedgehog's Magical Garden and Mocha Mouse Creates a Wonderful day are the first in the series. CLICK the button below the picture to discover who Hindy Hedgehog is. FINALIST FOR THE 2016 NATIONAL INDIE EXCELLENCE AWARD FOR MOTIVATIONAL AND INSPIRATIONAL CHILDREN'S BOOKS. Hindy Hedgehog’s Magical Garden is a valuable resource for children who are sick and for well children too. It is a way for them to learn about the inner physician early in life. Concepts that are taught when children are young will be easy to learn, retain and access throughout their lives. Using guided imagery makes it even more powerful because the child is in the experience as it unfolds. If you have a child or are caring for a child who is currently suffering illness that results in hospitalization this is the perfect tool for them. It will help them stay more calm and peaceful, which will assist in their healing. Children in the hospital need to know that they are loved, cared for and supported even more than normal. They need to know that everything will be okay and that you are there to help them go through this scary process. Tell them you love them and be present with them as much as possible to avoid them feeling more frightened. 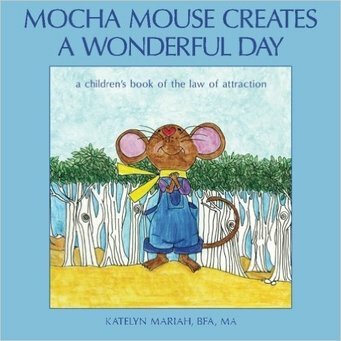 Mocha Mouse Creates a Wonderful Day is Book Two in the Empowered Children’s Book Series. Buy both Children's books for $22 and save.